When you look back at your first entrepreneurial endeavor, do you recall a sweet image of success – or an embarrassing moment of failure? For Aaron Montgomery, Co-Founder and COO of CarLotz, it’s the latter. 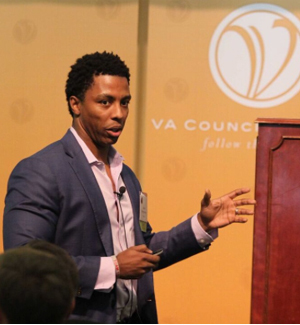 Speaking at a recent VACEOs membership luncheon, the charismatic executive shared what he described as one of the biggest blunders of his life, which happened during his second year at Harvard Business School. It took place during the decade when many entrepreneurs subscribed to the business philosophy of “Get big fast” and/or “Figure it out as you go,” Montgomery told the group. It’s a great story involving t-shirts, some of which he probably still has! 2. Speak to customers (get data). 3. Take that feedback back to the lab. 4. Refine the idea or product. It sounds simple, but it’s a formula the car consignment company has followed many times to successfully streamline marketing messages, refine various internal and external processes, and hire the right candidates. “You can make a change that’s small and test it for performance results, but you’ve got to be ready to embrace that sometimes small changes can lead to big ones and let go of the idea of throwing it all in and seeing what happens.” – Aaron Montgomery, Co-Founder and COO of CarLotz. 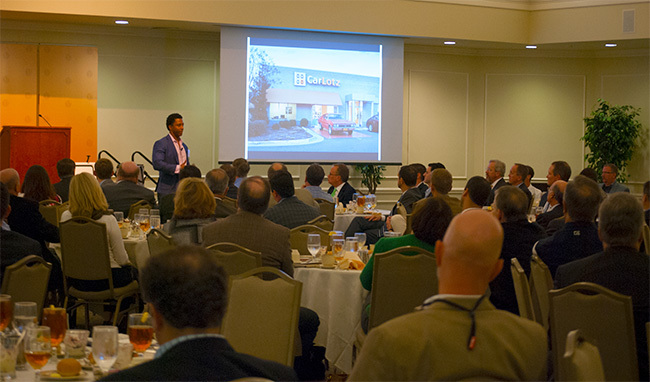 This learning experience was taken from the VACEOs Quarterly Luncheon presentation “Test and Refine: Building a Business in the Face of Uncertainty” with Aaron Montgomery (Thursday, November 17, 2016). VACEOs members have access to national thought leaders with unique voices not often heard in this market on a regular basis. Check out other member benefits.